I bought this iced tea on sale near the end of last summer at Plum Market. Although I posted a review last year (among a great many other iced tea reviews) of the sister tea, Strawberry Basil, in amongst all the moving, I had all but forgotten about this interesting blend. Pineapple Orange Guava is actually a Green Iced Tea with a highly citrus aroma not unlike a tropical smoothly. Speaking of smooth, Pineapple Orange Guava has a terrific homogeneous grit that reminds me somewhat of actual orange juice. I’m not 100% sure i used the correctly amount of water, but with iced teas you can never really but totally sure–it’s less of an exact science than brewing hot tea. Pineapple Orange Guava is highly refreshing with the flavors of pineapple, guava and blackberries mixed with sencha. 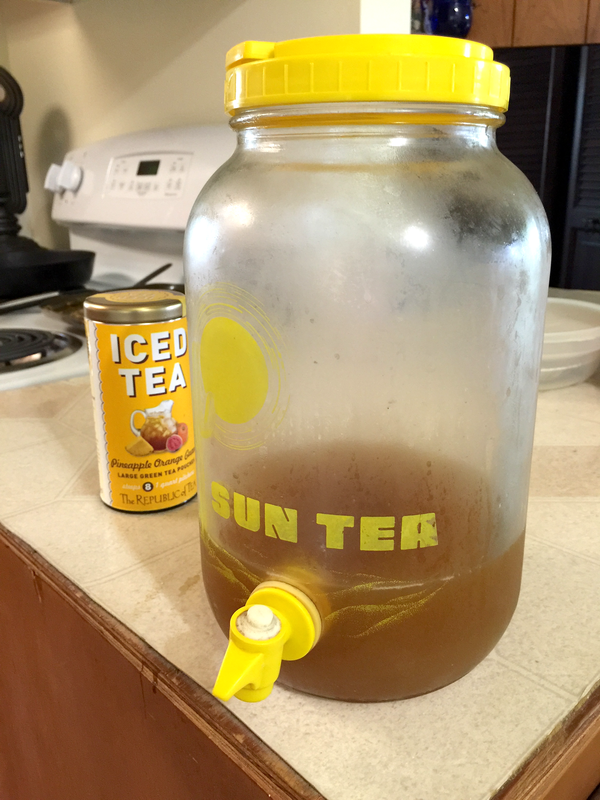 A really fun iced tea to enjoy on the humid dog-days this summer (assuming we actually get any). This work by Jocilyn Mors is licensed under a Creative Commons Attribution 4.0 International License.